The cover features the poster at left. The poster came from the movie Spitfire, originally titled The First of the Few in Britain. The film was released in Britain on September 12, 1942. 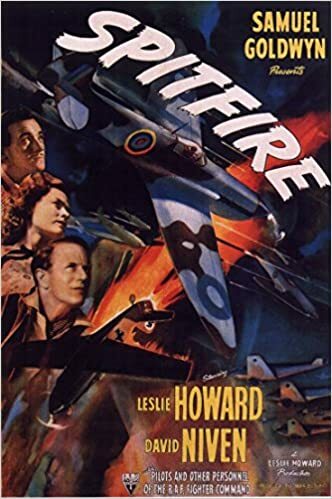 Less than nine months later – “on or about” June 1, 1943 – Lesley Howard’s airliner was shot down by eight Luftwaffe Junkers Ju 88C6 fighters over the Bay of Biscay. It may have been an accident. The Germans may have been really after Winston Churchill. Or Lesley Howard – “Ashley Wilkes” – may have been the dangerous British spy the Germans thought he was. And now a word about “T.D. Scribe.” That’s the nom de plume I used in my original blog, dorscribe.com. This second blog – modeled after the Carolina Israelite – is both devoted to more secular subjects and an homage to Harry Golden. For example, this second blog lets me explore such varied topics as Oscar Wilde and “gross indecencies,” “When adultery was proof of ‘loyalty,'” and any number of Travelogs. The image immediately above is courtesy of Oscar Wilde – Wikipedia.